Both books combine fictional and historic characters, scenarios, and dialogue. 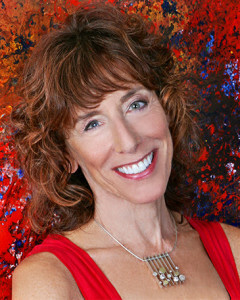 Both books focus on the abstract expressionist art movement. Both books have an element of mystery to them. Though compelling, Shapiro’s latest is bogged down in relaying well-researched material about the pre-WWII politics and developments in the art world, ultimately undermining the power of the fictional story. Shapiro obviously did her homework, and like me, maybe she loves research so much that it’s tempting to leave too much information in the book—information that the author needs to inform the writing, but more than the reader wants to see. In working with an editor in an early revision of my novel, I ended up cutting out one of the three main characters and making her part of the backstory instead. The books works much better this way. 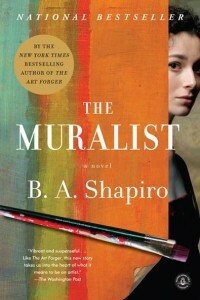 The Muralist is a novel in which fictional characters mingle with historical figures. All incidents and dialogue are products of the author’s imagination and are not to be construed as real. Minor alterations in the timing and placement of persons and events were made as the story dictated, the details of which can be found in the Author’s Note at the end of the book. In all other respects, any resemblance to persons living or dead is entirely coincidental. A historical novel is a work of long fiction set in a previous time period. To me, the most important word in this definition is fiction…. This mix of history and invention continues throughout the novel. This is helpful to me as I consider how to write my disclaimer and Author’s Note for Cherry Bomb. I think I’ll get to work on that soon. But for now, I can’t wait to keep reading The Muralist!